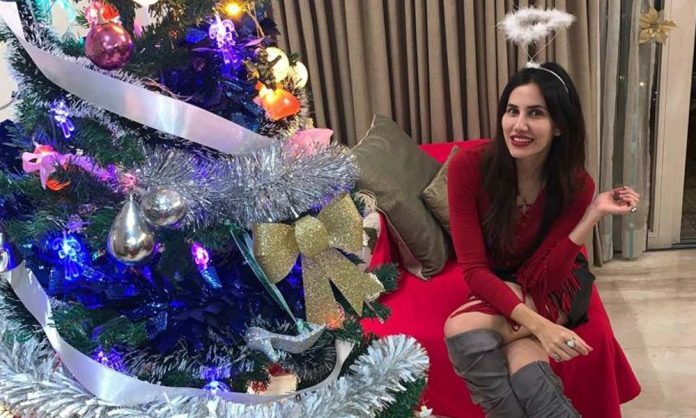 Sonnalli Seygall who has been a part of blockbusters such as Pyaar ka punchnama franchise looks absolutely stunning as the diva celebrates the Christmas eve with her family and close friends. Sonnalli Seygall who is known for her firm grounds have always been family oriented and believes that festivals are to be celebrated with close ones that’s what makes it special. Wow! That’s quite a thought. Sonnalli celebrated the winter festival with her family and close friends over a supper party in Mumbai,looking drop dead gorgeous as she poses wearing fancy X-mas props and soon will be seen in her upcoming movie ‘Setters’ which will be releasing early next year. Next articleActress Dipna Patel To Start 2019 With A Bang!